No one likes buying insurance. So for insurance providers, a simple and efficient customer experience is absolutely paramount. You need to be able to build and deploy apps faster than competitors, while still maintaining that seamless customer experience. The best way to do that these days is with low-code application development. Low-code is hugely increasing in prevalence across the insurance industry. 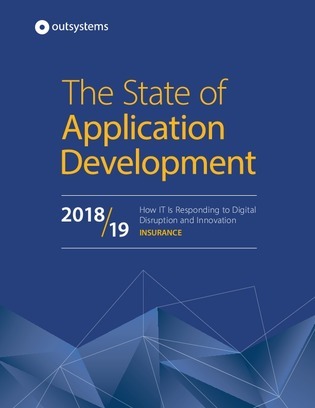 Open this report on the state of app development in the insurance industry to find out how your peers have been using low-code, and how you could use it to seriously cut down on build times.